GMO foods began to be increasingly more present in our lives, whether we realize it or not. 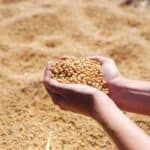 Genetically modified crops are specifically designed for human or animal consumption, using the new technologies of molecular biology. Most of them have a modified DNA structure (adenosine triphosphate, the substance that holds genetic information) in order to win a “super power”. These crops are either larger and more beautiful, or are resistant to pests and other pathogens. For a plant to become naturally resistant to drought, for example, it needs thousands of years, whereas, using bio-engineering this can be achieved within one year. Resistance to pests. Many farms end up in bankruptcy due to worms, rodents or other pests. 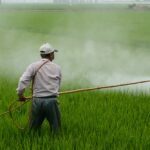 To prevent such situations, most of them resort to whole tons of pesticide products, or no one wants to eat fruit or vegetables from a sap containing chemically altered substances in proportions of up to 45%. Besides this, the water in areas where farmers use chemicals is not drinkable, and fish die because of its level of toxicity. 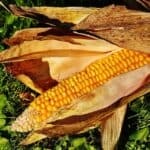 These are just some of the reasons for which more than 90% of US farmers opted for genetically modified corn as opposed to the “traditional” one. Resistance to herbicides. If until recently farmers were afraid to use herbicides, for fear of affecting crops, and preferred pulling weeds, they no longer have to worry about them, because they have all sorts of varieties of plants that are resistant to herbicides. Resistance to cold, diseases and drought. This makes it possible for farmers to grow crops even in regions or area that are normally less suited for agricultural activities. 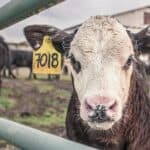 However, in this day and age, when every piece of land counts, in order to provide the necessary food for the increasing world population, it’s very important advantage. Pharmaceutical industry. Most drugs are made from plants, fruits and vegetables, but because of the quite difficult process, manufacturers are forced to store them in all kinds of unsuitable places, which means that their perishability increases. The latest findings have shown that it’s possible to produce two types of edible vaccines, using GMO tomatoes and potatoes. Thus, worldwide transport would be easier, in a shorter time and under less demanding or expensive conditions. Recently, the U.S. Environmental Protection Agency along with the Food and Drug Administration approved three new types of GMO potatoes as safe for human consumption. The approval allows the J.R. Simplot Company to plant the three types of potatoes this spring and start selling them in the fall. The three respective varieties are called Ranger, Atlantic and Russet Burbank, all under the Innate brand. All these types of potatoes are designed to minimize black spots and bruising, but also to reduce the amount of the chemical that are potentially carcinogenic when potatoes are cooked at high temperatures, especially in the food processing industry and in fast food chains. These potatoes are also designed to resist to blight, a highly destructive pathogen which caused the Irish potato famine in the nineteenth century. During the Irish famine, approximately one million people died because of starvation and another one million emigrated from the country. The J.R. Simplot Company plans to grow the GMO potatoes mostly in Idaho and Wisconsin and sell them in supermarkets across the USA. It’s most likely that the potatoes will be introduced on the market as pre-peeled or pre-cut for restaurants, hotels and other facilities where the resistance to bruising creates an advantage. Interestingly enough, one of the long-term partners of the company, McDonald’s will not use any of the new GMO potatoes in its products. The Innate potato variety is genetically modified to produce less acrylamide, a substance considered potentially carcinogenic, and fewer carbohydrates. 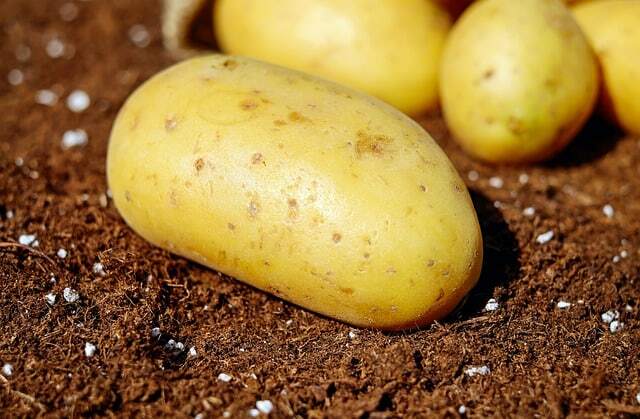 The first Innate potato was approved by the US Department of Agriculture for consumption in 2014. 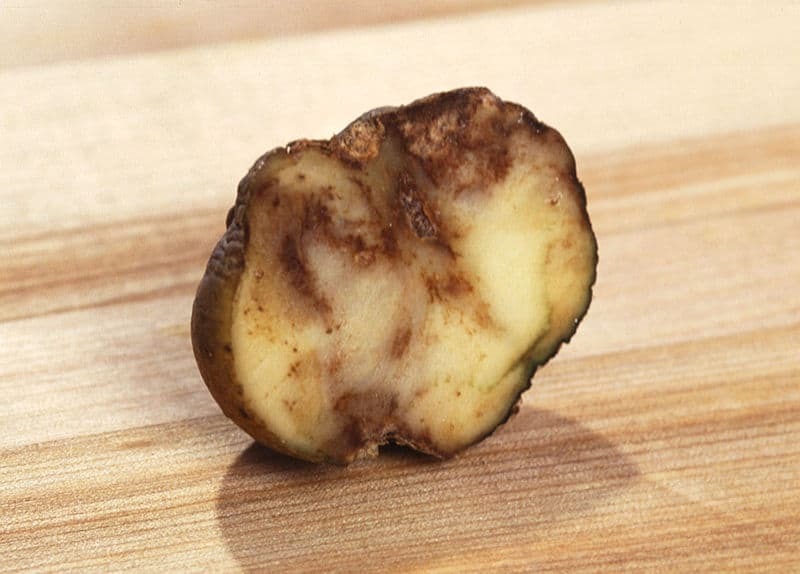 Unlike other genetically modified plants, Innate doesn’t have any added genes from other species, but it has been obtained from a variety of Russet Burbank potato (Solanum tuberosum) to which the genes of other wild and cultivated potato varieties were added. When fried, Innate potatoes produce 50-70% less acrylamide (acrylic acid amide), a substance that occurs naturally in foods as a result of the preparation at high temperatures. Although it has been shown to be carcinogenic to animals, it is unclear to what extent it has similar effects to humans. Other advantages of the Innate potato include the lower carbohydrate content and resistance to mildew and alterations caused by impact. The last two features are very beneficial to farmers, which can reduce losses caused by pests and transport. Innate cultures were tested in eight US states between 2009 and 2011. The Department of Agriculture concluded that the genetically modified variety is safe for consumption. GMO potatoes, the answer to fight against blight? Blight, one of the most serious diseases of potato is caused by a fungus called Phytophthora infestans. In recent decades, it has become increasingly aggressively attacking the leaves, stems, blossoms and tubers. Disease transmission is made to close proximity crops through infected tubers or infected plant debris. Infection can occur in spring, during May-June, when the first signs are shown at the leaves, during fall, when the tubers may come into contact with the remains of infected plants, or during storage in silos. Blight is a disease that can be easily transmitted to other plants as well, such as tomatoes. This disease is spread so easily, which is what caused the disaster from Ireland in 1845. At that time, one third of the population relied on potato crops in order to make a living. Things haven’t changed much over the decades, because British farmers, for example, spend annually about 60 million pounds to buy pesticides to get rid of blight. Now, because of the new and improved second generation GMO potatoes that have been approved for human consumption, farmers could finally find a way to avoid having their potato crops destroyed by blight. Not all GMO potatoes were an instant success on the market. For example, the Amflora potato, introduced on the market by BASF was banned from the European Union and it was retired from the market after consumers had several objections. 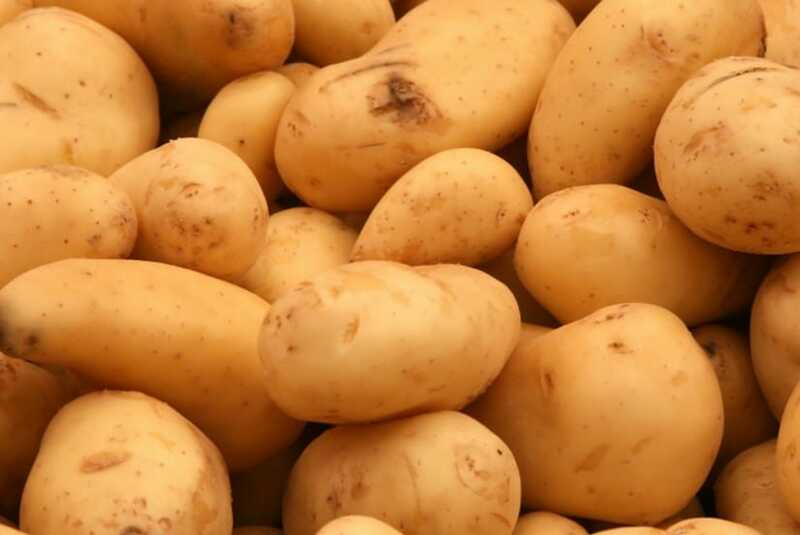 The main problem of Amflora potatoes was the gene marker contained by them – NPT II – which created resistance to a number of antibiotics including kanamycin, neomycin, or paromomycin and there was guarantee that the antibiotic resistance gene wouldn’t enter the food chain. However, these “experiments” are more than welcome, because it was possible to create GMO potato varieties that retain their qualities much longer after harvesting or throughout food processing activities. 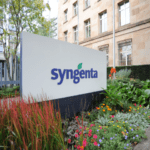 Along with state of the art fungicides, such as CruiserMaxx Vibrance, recently launched by Syngenta, farmers will have a much better chance to obtain healthy and productive potato crops.